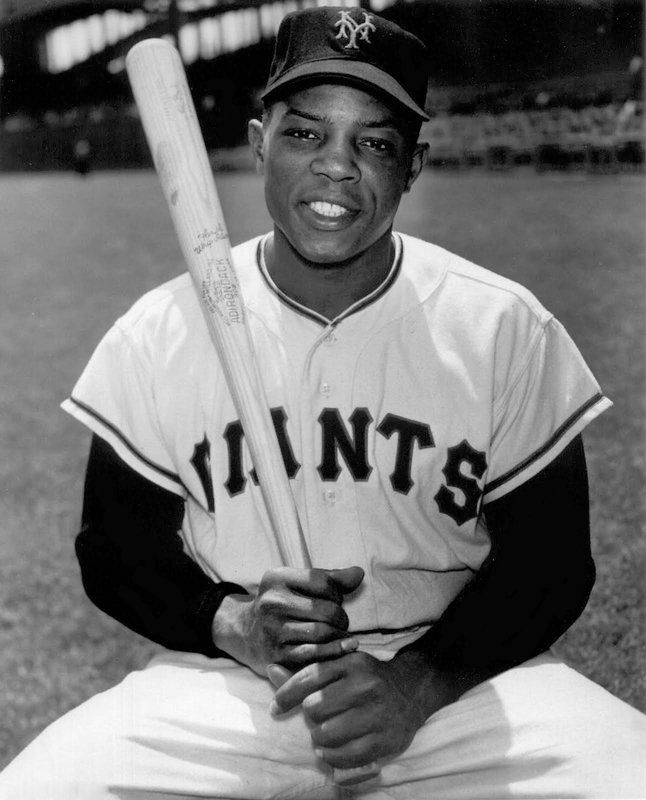 Willie Mays (born as Willie Howard Mays, Jr. in Westfield, Alabama) is a famous Athlete from USA, he is 88 years old and still alive, born March 6, 1931. Willie Howard Mays, Jr. is an American former baseball player. Played right field. He hit over 600 home runs and stole about the same number. Mays was elected to baseball's Hall of Fame 1979th. He is born under the zodiac pisces, who is known for Fluctuation, Depth, Imagination, Reactive, Indecisive. Our collection contains 32 quotes who is written / told by Willie, under the main topic Sports. "It isn't hard to be good from time to time in sports. What's tough is being good every day"
"I always enjoyed playing ball, and it didn't matter to me whether I played with white kids or black. I never understood why an issue was made of who I played with, and I never felt comfortable, when I grew up, telling other people how to act"
"Every time I look at my pocketbook, I see Jackie Robinson"
"I didn't say I was that smart, I said I went to class and I enjoyed what I was doing"
"I don't mean to be bashful, but I was"
"In order to excel, you must be completely dedicated to your chosen sport. You must also be prepared to work hard and be willing to accept constructive criticism. Without one-hundred percent dedication, you won't be able to do this"
"I was very fortunate to play sports. All the anger in me went out. I had to do what I had to do. If you stay angry all the time, then you really don't have a good life"
"I don't compare 'em, I just catch 'em"
"I would try and help everybody, because the game was so easy for me. It was just like walking in the park"
"Yes, I had to learn how to live life outside, but I had so many people help me"
"When I got to professional ball I used to play 150 games every year. It depends on how many games there was"
"When I'm not hitting, I don't hit nobody. But, when I'm hitting, I hit anybody"
"When I was in Birmingham I used to go to a place called Redwood Field. I used to get there for a two o'clock game. Where can you make this kind of money playing sports? It was just a pleasure to go out and enjoy myself and get paid for it"
"They throw the ball, I hit it. They hit the ball, I catch it"
"Robinson was important to all blacks. To make it into the majors and to take all the name calling, he had to be something special. He had to take all this for years, not just for Jackie Robinson, but for the nation"
"It's not hard. When I'm not hitting, I don't hit nobody. But when I'm hitting, I hit anybody"
"If you can do that - if you run, hit, run the bases, hit with power, field, throw and do all other things that are part of the game - then you're a good ballplayer"
"I think I was programmed to do good things when I came into the majors. I knew how to play"
"People talk about that catch and, I've said this many times, that I've made better catches than that many times in regular season. But of course in my time, you didn't have a lot of television during the regular season. A lot of people didn't see me do a lot of things"
"In 1950, when the Giants signed me, they gave me $15,000. I bought a 1950 Mercury. I couldn't drive, but I had it in the parking lot there, and everybody that could drive would drive the car. So it was like a community thing"
"At ten I was playing against 18-year-old guys. At 15 I was playing professional ball with the Birmingham Black Barons, so I really came very quickly in all sports"
"Maybe I was born to play ball. Maybe I truly was"
"I was very blessed with a good body. Never got hurt. Never was in the hospital. The only time I was in the hospital was when I would get exhausted a little bit, and go in for a check-up or something"
"I played with the Birmingham Black Barons. I was making 500 at 14. That was a lot of money in those days"